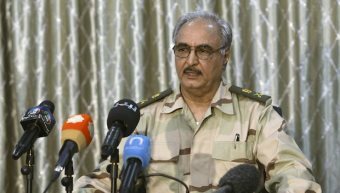 AFRICANGLOBE – Forces loyal to eastern Libyan commander General Khalifa Haftar took control of two key oil ports on Sunday. The troops seized Al Sidra and Ras Lanuf terminals on Libya’s Mediterranean coast on Sunday and hoped to seize a third terminal, Al Zueitina, said Brigadier General Ahmed Al Mosmary, a spokesman for Gen Haftar’s forces. Gen Haftar, one of the most powerful military figures in Libya, has refused to endorse a UN-backed national unity government in Tripoli and remains loyal to the rival administration based in the east of the country. His forces took the Ras Lanuf and Al Sidra terminals, together capable of handling 700,000 barrels of oil per day, from a militia loyal to the Tripoli-based government. The majority of Libya’s oil exports went through the three terminals before the militia, known as the Petroleum Facilities Guards, seized them more than two years ago. “Zero hour has arrived, so march forward like wolves and charge like lions,” Gen Haftar told his forces as they prepared for Sunday’s dawn attack. In a radio message, he urged the troops not to harm civilians or damage the facilities. The Petroleum Facilities Guards’ leader, Ibrahim Jedran, struck a deal in July with the UN envoy to Libya, Martin Kobler to reopen the ports after and resume oil exports. The details of that pact were never disclosed, but critics have speculated that it involved billions of dollars, sparking charges that Mr Kobler and the United Nations were empowering the warlord viewed by many as having held Libya’s oil hostage. Mr Kobler said on Sunday he was worried about the fighting. “Oil belongs to ALL Libyans,” he tweeted. Security officials said there were no casualties among the attacking forces and that the militiamen at the three facilities did not offer much resistance. Gen Haftar’s forces also moved against two areas in the eastern city of Benghazi that remain under militia control. Gen Al Mosmary said there was also little confrontation from the militiamen there, but that landmines were slowing down the advancing troops. Gen Haftar enjoys the support of several Arab nations, including Egypt, the UAE and Jordan, as well as others in the West. 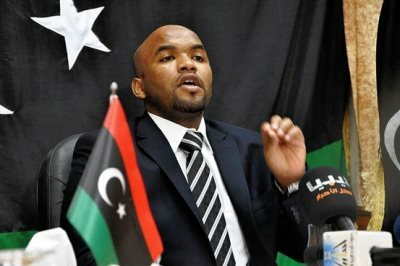 He is allied with the parliament based in eastern Libya, which refuses to recognise the UN-backed government in Tripoli. He is widely viewed as the saviour of Libya’s eastern region, which had long suffered from marginalisation under the rule of Muammar Gaddafi. Libya has been split between rival parliaments and governments, each backed by a loose array of militias and tribes. If the terminals are operational again and oil exports resume, the revenues, together with a continuing political impasse, could provide the eastern region an extra incentive to declare self-rule. Until July, the ports had been closed for months following attacks by ISIL in January. The extremist group has taken advantage of the turmoil in Libya since the 2011 uprising that toppled and killed Gaddafi.